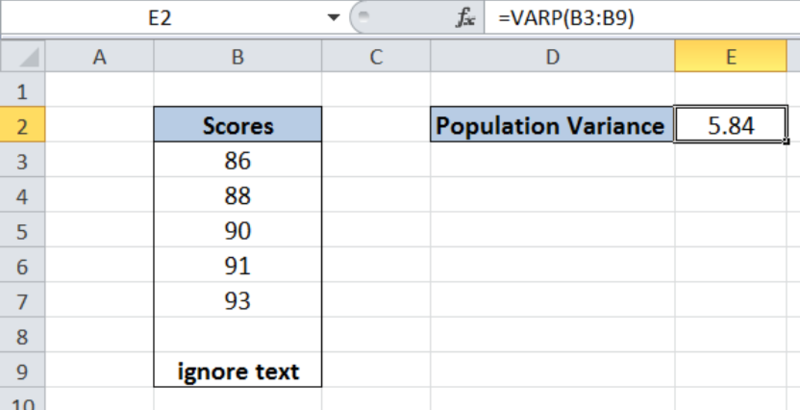 The VARP function in Excel calculates the variance of an entire population of data, ignoring text and logical values. This step by step tutorial will assist all levels of Excel users in the usage and syntax of the VARP function. We have here column B containing a list of scores in B3:B7, an empty cell in B8 and a text string “text” in cell B9. The VARP function ignores empty cells and text strings. 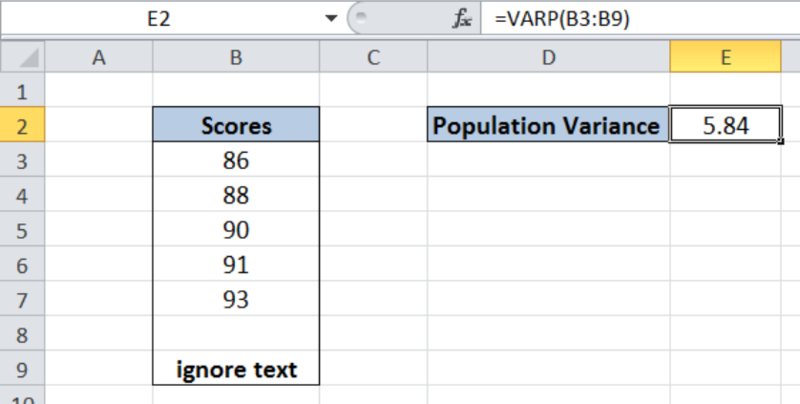 In cell E2, we want to calculate the variance of the population by using the VARP function. The range B3:B9 contains our data. Note that the VARP formula ignores the empty cell (B8) and the text we have entered in cell B9. As a result, our VARP formula calculates the variance in cell E2 which is 5.84.